Important: RWG does not support the purchase of replica watches. This website is only made to teach its visitors about replica watches and to make them aware of many scam websites out there that sell replica watches for thousands of dollars. If you decide to go with a replica watch, you should know these things: Replica watches vary in quality, and they vary a lot. The price of replica and homage watches can range from as little as $50 to as much as several thousand dollars. Most decent quality replica or homage watches cost between $70 and $400. Think twice before spending more as you may get ripped off! There is no such thing as a perfect replica. There are always ways to tell. Manage your expectations - be prepared to accept that the watch won't be quite perfect. The only 1:1 100% perfect Rolex is a genuine Rolex! The same goes for every other make. You're spending a LOT less than the real thing! Beware. A $50 watch is exactly that - a $50 watch. Don't expect it to be much good. Also beware of cheap automatic 'chronos' with non working subdials. If you want working chronos you're going to have to buy quartz or a $2-300 or more A7750-powered watch. A $100 Rolex Daytona with auto movement is not going to operate like the real thing. Don't be tempted to spend upwards of $1k on a replica. It's not worth it. Yes, it may be a good watch (although it could also be a scam), but even if it IS a good watch, it's still a fake. 1. BEWARE OF PHOTOS OF THE GENUINE WATCH. Make sure that watches on the pictures provided do not show 10:10. Most authentic pictures (from Rolex, Omega, etc.) show this time. If you ever see a commercial or a magazine ad for the watch it will always show 10:10. You want a retailer that you are buying from to have pictures of actual watches that they are selling. If in doubt, ask one of our members. 2. Beware of fake 'review' sites. Most are owned by the sites they are promoting. The only safe review site is the one where there is an active discussion forum attached - if enough folks are posting regularly, you can be confident that the site is for real. 3. A good thing to do when buying replica watches is to use a credit card that has 100% fraud protection. Most of these retailers are going under all the time and you can never be sure that you won't get ripped off. Paypal is a good alternative. However, don't forget one thing. You are buying a counterfeit product. 4. Be aware that certain countries have a reputation for difficulties with customs (France, Italy, Denmark and others). If you live in one of these EU countries then it is worth paying a little more and buying from an EU-based dealer. It will reduce the chances of your watch being seized. 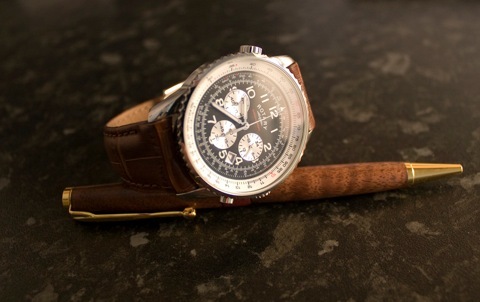 Join our forum to find out who can be relied upon to supply the watch you expected to receive. 5. Finally, It’s worth bearing in mind that homage watches (look-alike models sold under another brand name) are 100% legal to buy and sell, so you may be best advised to consider that option rather than a replica. A wide range of manufacturers - including major names such as Rotary, Lorus, Citizen, Accurist, Sekonda as well a large number of smaller specialist watchmakers - produce watches that look and feel like a genuine Panerai, Rolex or Breitling but at a fraction of the cost. They are often the best alternative to a genuine Rolex. Here at RWG we love homage watches and we can help you find the best to suit you. 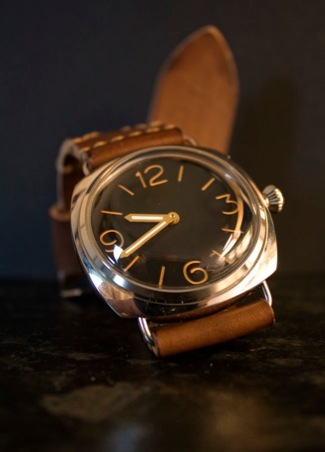 An inexpensive but exceptionally high-quality homage to vintage Panerai watches.